We've spent many thousand miles travelling with the Dirtsack Gypsy and I'll come out and say it - this is my new favourite luggage system. The Gypsy is a 60-litre tail bag with extended and enlarged sides, similar to the Viaterra Claw except with a more squared off design. The Gypsy is feature packed and has a detachable carry strap while removable compression straps let you cinch down a backpack or anything medium sized and reasonably flat to the top of the bag. There are also two water bottle holders on either side and a reflective strip at the back. The bag is tethered to the bike via four separate straps. At one end, the strap connect to the bike via a loop while the other end is connected to a corner of the bag via a simple, but very effective slide adjuster buckle. Basically you wrap the looped end around an anchor point like the rear footpeg and then draw the strap through the loop. The free end of the strap then connects to the bag via the slide adjust buckle. One strap connects to each corner and you can cut off the excess strap once you've realised how much is needed for your particular motorcycle. The entire process takes about ten minutes but you do have to remember to safely stow away the straps after use. We've used the Gypsy on the KTM 390 Duke and also the Benelli Trek Amazonas and on both bikes it sat securely in place no matter the speed or sudden jerks caused by hitting potholes and jumping speed breakers. The Gypsy consists of one main compartment and has two small pocket on either side The opening flap on top is slightly oversized to protect the main zipper from rain. There's a mesh pocket on the underside of the main compartment flap and two mesh pockets on both sides. While the top pocket is good for holding flat items the side pockets aren't meant for storage at all. Instead, they hold two fibre inserts that give the bag its shape. Once these inserts are removed the bag can be folded for storage. 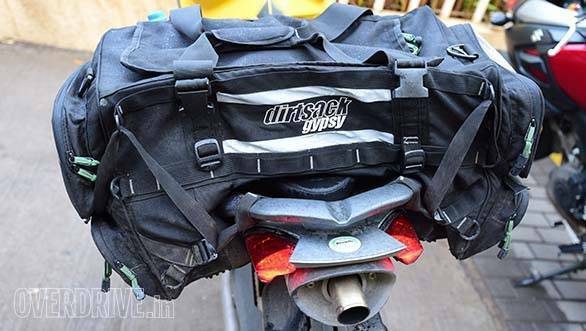 I found installing the inserts a little painful but Dirtsack says they've changed the pockets to a velcro attachment for the second lot of bags, a system they claim is easier to use. The Gypsy comes with a removable rain cover but in my experience these systems aren't perfect since they don't protect from spray coming off the back wheel. 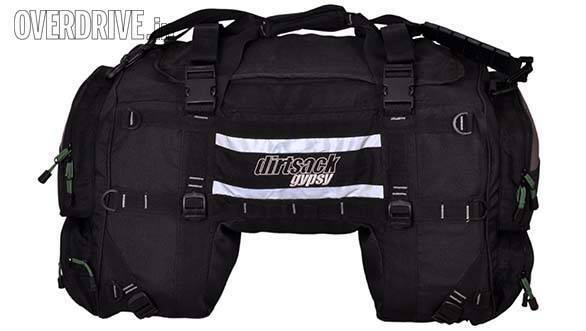 Instead, I used Dirtsacks Geardry dry bags (Rs 475-675 depending on size) The dry bags ensure your stuff stays completely isolated from moisture. But to my surprise I found that the Gypsy is quite waterproof on its own - we rode through an hour of heavy rain and the bag was dry on the inside. Still, for peace of mind we'd definitely recommend investing in some dry bags regardless of what motorcycle luggage you use. 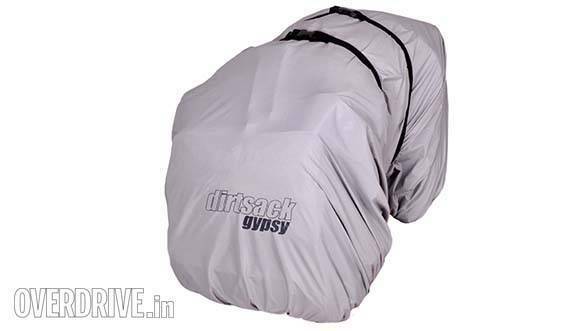 At Rs 5,200 the Gypsy is not cheap but commands the premium for the tough 1000 Denier ballistic polyster material that ensures better abrasion and heat resistance. Mounting it on the Benelli had me worried but it handled the hot under seat exhaust just fine. The bag is built well, sits securely on the bike and has the capacity for a fairly long getaways' worth of luggage. Worth the investment.